We’re all supposed to eat more fruits and vegetables, right? But what we really want to eat are brownies. 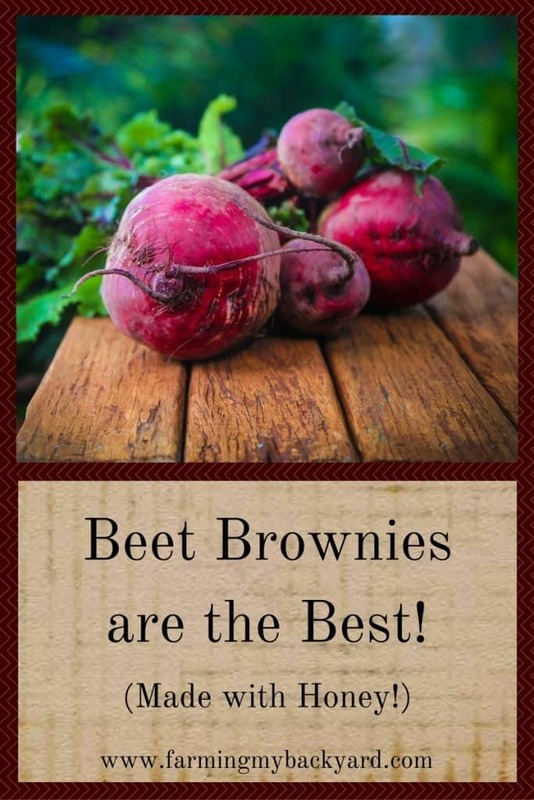 Have the best of both worlds and make beet brownies! One of the downsides of traditional brownies is the amount of sugar. Beets are naturally sweet, and honey is even sweeter than sugar, so by baking these with honey you need much less sugar than with other recipes. I’m very particular about my vegetables, and quite frankly, I dislike most of them. If they are fresh and homegrown, I’ll eat them, but limp and bitter from a store? No way! My solution is to hide all vegetable-like items as much as possible. Green smoothies are one of my favorite ways to eat more produce. Beet brownies are another awesome way! In fact, beet greens make awesome green smoothies, so beets are one of my most eaten vegetables. The hardest part of making beet brownies is pureeing the beets. First cook the beets until they are soft. There are a couple ways to do it. You can peel and chop the beets and then boil them. Or you can wrap the beets in foil and bake them like a potato. After they cool enough to be touched you can rub the peel off with your fingers. Once the beets are soft and cool enough to work with, toss them in the blender and puree them. The pureed beets will last in the fridge for a week or so. 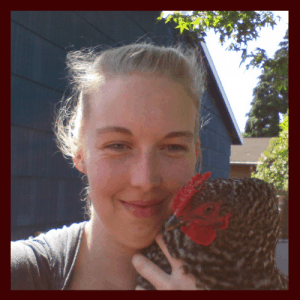 I like to make it ahead of time when I’m in the kitchen making dinner anyway. Then another day the kids and I can bake the brownies together. Okay, here’s the recipe! It’s pretty easy to make, and you won’t need any sugar at all. The natural sweetness of the beets combined with the honey is the only sweetener these brownies need. Preheat oven to 325 degrees. Cream together the butter and honey. Add the pureed beets, vanilla, and eggs, and mix together. (If the toddler is helping, fish out all the tiny bits of egg shell…) Next, in a separate bowl whisk together the cocoa powder, flour, and baking soda. Now add the dry ingredients to the wet and stir until combined. Stir in the chocolate chips. Eat a few handfuls of chocolate chips from the bag, then add in a some more chocolate chips. There is no such thing as too much chocolate. Pour the batter into a buttered 9×9 baking pan (I always do mine in Pyrex. Love that stuff, although I’m such a clutz I still manage to break mine). Bake for about 35-40 minutes, or until a tooth pick inserted into the center comes out clean. At this point you really should wait until they cool down before you cut them. But ask my children how many times they’ve caught me in the kitchen burning my fingers in an attempt to eat them too soon. When it IS time to eat, the best way is to put them in a bowl and add a big scoop of ice cream on top. YUM. Go make and eat the best beet brownies!